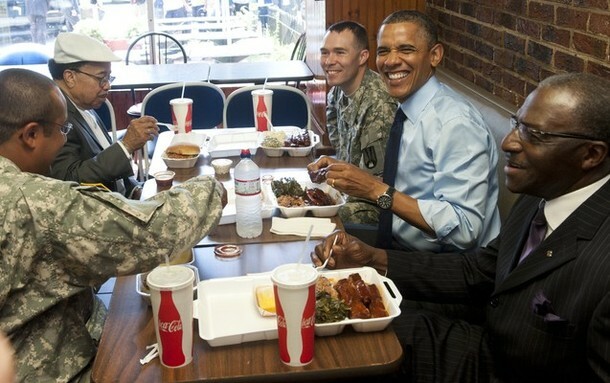 President Barack Obama eats lunch with two soldiers and two local barbers, in honor of the upcoming Father’s Day weekend, at Kenny’s BBQ Smokehouse in Washington, DC. It enlightenment. Our leaders are blind and myopic, so they will see it a condescending act.